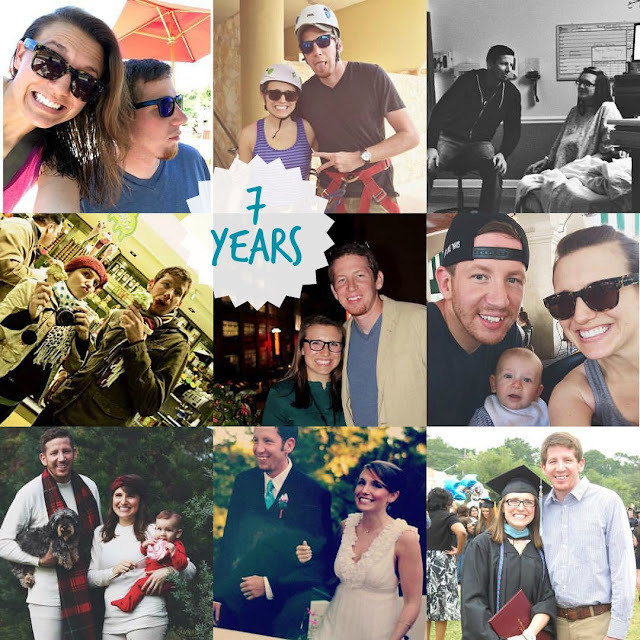 I postponed MPM yesterday for a little post about our 7th wedding anniversary. Today we're back at it with this week's meals, prepare yourself, I'm basically living at the grill. I feel like this year should be titled "Not as bad as we expected on so little sleep." Despite what adding a baby to the mix does, we had a great year. There were up and downs like every year, but looking back what comes to mind is good. The bad isn't worth dwelling on, and hey, the baby decided we were worthy of sleep for a few nights. Ha! So here's to 43 more years until we hit the big 50! Current marriage stats include - We've lived in 3 towns, 4 houses, 2 big trips by plane(Italy & Puerto Rico), 1 baby, 1 house bought, 5 job changes for me, 2 graduate degrees accomplished (he's much smarter with that specialist), 3 dogs (Rudy was sent to the "farm" aka my parents house). Tonight my favorite sister (the only one) watched Harrison while we went on a date for a meal you can't eat with a baby... boiled crawfish. 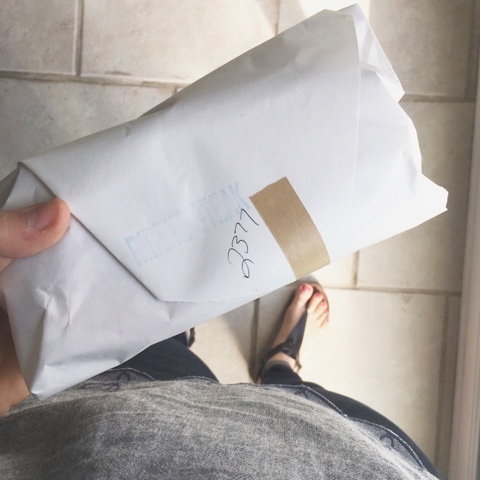 Next week we're headed to NOLA for our anniversary and I've got a few new places to eat on my list, I'll be sharing after we get back about that one. 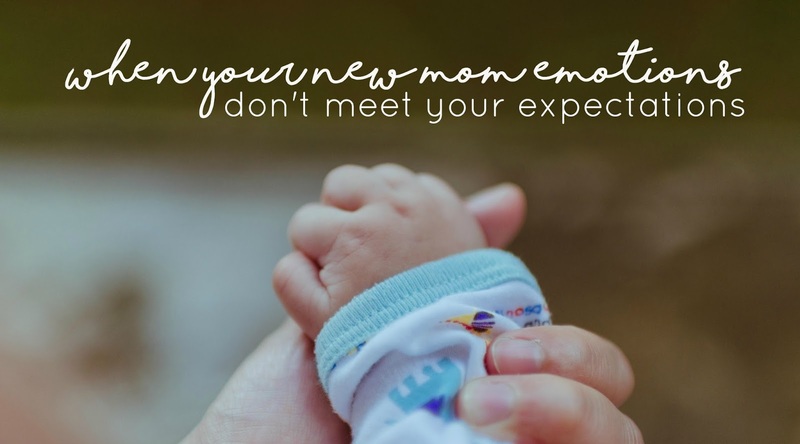 After talking to several moms in the past few weeks about feelings regarding that immediate intense love you're supposed to feel towards your newborn, I thought maybe we should discuss it here. Because let's be honest, not everyone has the overwhelming love feeling as soon as the baby pops out. Sometimes it isn't even when you're leaving the hospital. Or the first night at home. We do however, have an idea in our heads of what it should look and feel like. The problem comes when our expectations aren't met. We're told the worst part of coming home is the lack of sleep. We even see new mom's posting all over social media about how much they just love their little darling, leaving us wondering if something is wrong with how we feel. After thinking it was just me for so long, I'm here to tell you it's not just you either. I love my husband more now, after 7 years, way more than I did initially. Lord help us all if I only love him as much as I first did, we wouldn't have made it this far. That baby I birthed a little over a year ago, I love him more today as well. When he was first born I wasn't all gushy-eyed over him. I didn't cry. I didn't have this "Oh my gosh I'm so overwhelmed with love" moment. The only thing I felt after being in labor all day was can I now have a good guzzle of water and a granola bar. 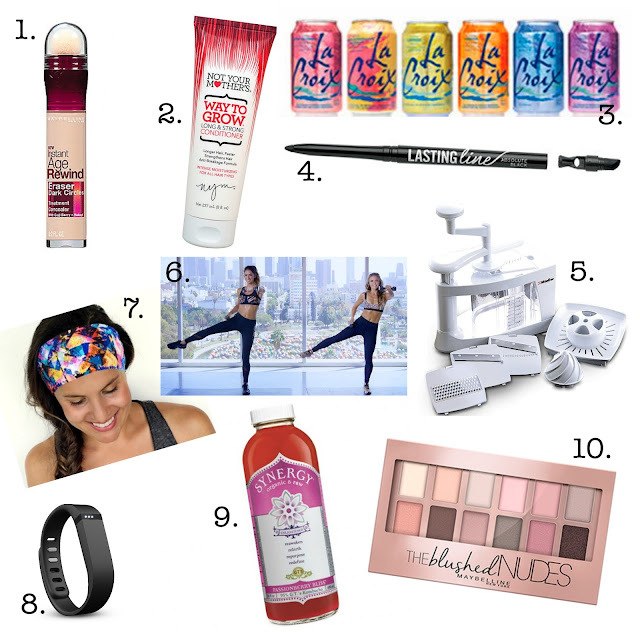 I'm here to tell you that (before the postpartum woes set in) while I was being sewn back together I was stripped down to my birthday suit with a naked baby on my chest (who was nuzzling around trying to nurse by the way) while I ate a granola bar and downed water. I just kept asking when I could have a sandwich. Then, after I was told I had to get my tail out of bed and walk or the catheter was coming back, did I focus on walking. Once the hormones started doing weird things to me I just wanted to cry. I was a hot mess going home, and I cried in bed that entire evening. Then come week one we were inundated with visitors and I couldn't get myself together at all without space alone, so I continued to sink. It wasn't until week two when love was an emotion I could feel again. Then around 6 months I looked at that baby and thought "I don't think I could love anyone more." It's been the same ever since, a new day equals more love. Those first 72-ish hours in the hospital though, it was all survival. I didn't come home posting photos all happy and such because I wasn't happy. In fact the second I was able to lay on the couch and sleep, someone came over. So new mama's don't think you're terrible when you don't feel gushy in love that very first second or the first week. It's normal. It's okay to feel awful when you're healing from the trauma of birth. You'll love your baby more as the postpartum mental fuzziness fades. And you'll love him even more every day after that. Hello first full week of summer, it is so nice to finally see you. Too bad you didn't come with an over abundance of sleep. However, you did come with a baby who shakes his head yes while saying "yeah." I'm blaming that mainly on the fact that he is copying us and I tend to shake my head while saying yeah in conversations. I have a little cleaning secret I'm sharing today. It's especially useful for those of you who have a home that the grout isn't sealed. All I do is cover the grout lines with the cling bleach and let it sit about 2 hours, then I mop it up with hot water and scrub it really good with the mop. The previous owners had large dogs and I don't think the grout was ever sealed, as soon as we moved in my overly pregnant self wanted to do this but Jeremy continued to put me off of it. Now that it's finally summer break I had the chance to do it and it looks amazing. Just a warning though, do this when small children and animals aren't around, the smell is pretty harsh and it will burn your eyes. This isn't exactly a green cleaning method (like I prefer to use), but it worked really well on this tough job. 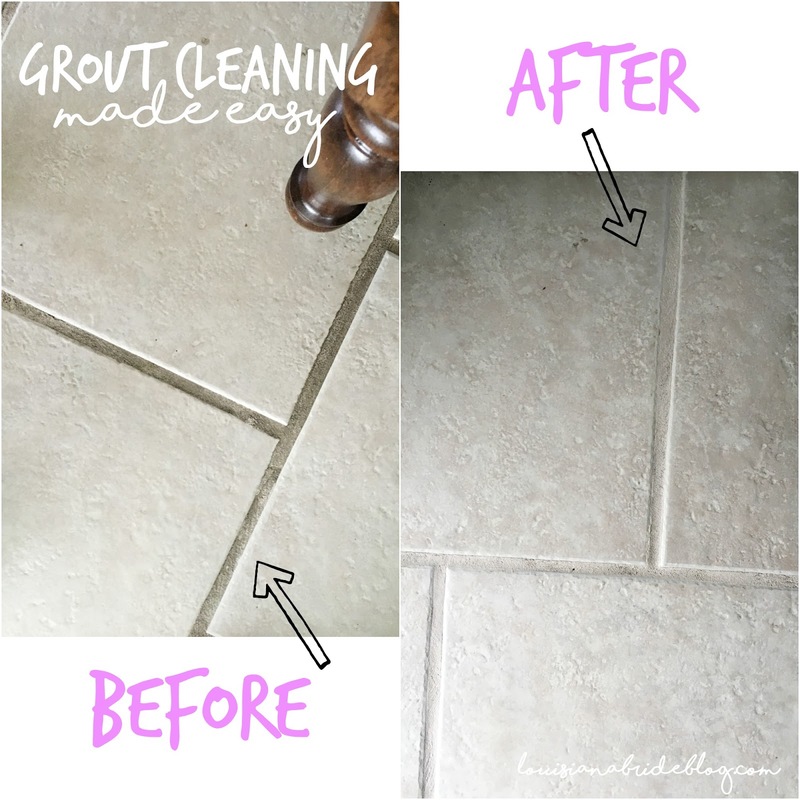 For someone who's lived in several houses and had several houses of nasty grout, this is the way to go. Alright y'all, I'm going to be honest about the Tone It Up meal plan. I love the layout of when to eat what, but the amount of sugar consumed on that diet is out of this world insane for myself. Like week one was great, added some quinoa to my diet which I hadn't had in years. Week two was teacher appreciation week and I struggled. 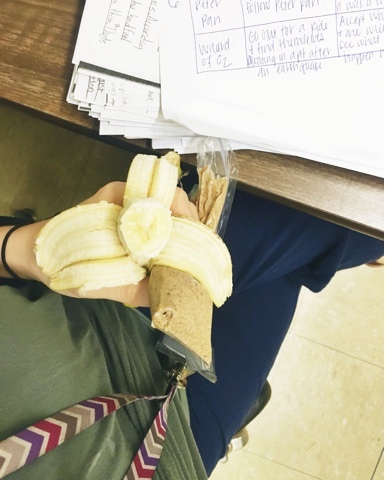 Week three I essentially planned all healthy meals and then woke up for an apparent food blackout covered in Oreo's and bloated as all get-out. It was so bad that I'm starting another Whole30 Monday to reset myself. Like seriously, I was drinking hot tea without any sweetener and after a few weeks of TIU I'm basically huffing stevia packets. The week got away from me, or more like the lack of sleep got the best of my free time. This non-napping mama took two naps this week. I'm pretty positive this has been the worst sleep regression to date. Or I'm so exhausted I can't remember the others. One day this week I took a banana and my beloved Maranatha Maple Almond Butter as a snack, holy smokes it was amazing. Like I questioned why any meal included any other food. 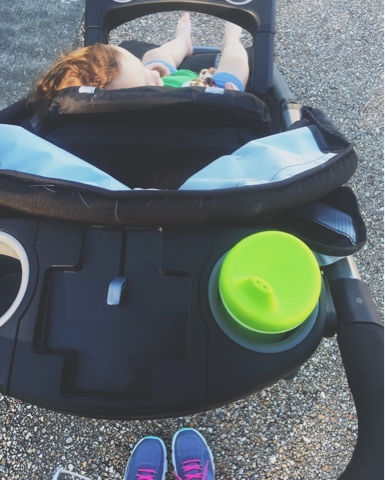 Harrison has been sleeping so poorly at night that he (after also refusing to nap after we got off work) fell asleep in the stroller. This also hasn't happened since the unable to roll over days. Since he started walking already, I'm thinking this regression has to do with 1 year molars and vocabulary acquisition. I told Jeremy last night though that as bad as it's been surely he will be fluent in French and have all his teeth by this Friday. I totally forgot about this breakfast, it use to be a favorite of mine, so I thought I'd share it just to make sure I remembered it. 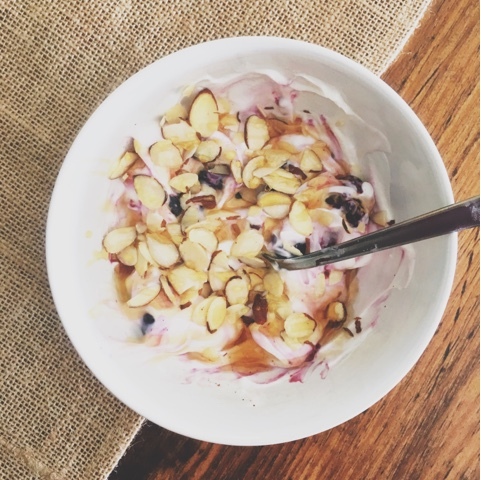 It's just a container of plain Greek yogurt, 1/2 cup frozen mixed berries, 2 tbsp of chopped nuts, and a drizzle of honey. Little Mister thinks he is so grown now that he can walk. 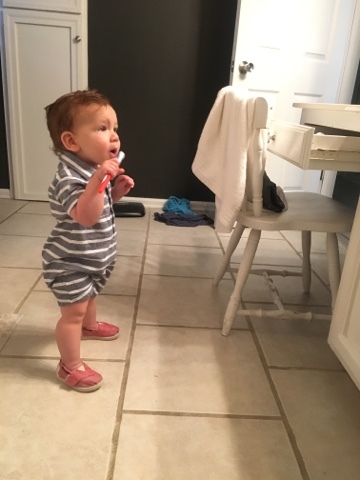 While I brushed my teeth the past two days I've held him and handed him an extra tooth brush, he just scrubs away like he knows what he's doing. It's about the cutest thing ever. You could possibly peg me as one of two types of people based on this picture. 1. being that I could totally care less about Mother's Day and think people make too big of a deal out of that sort of thing. And 2. is that I'll use any excuse to grill a ribeye. If you guessed both, then you're right. I told Jeremy to skip the card and any present and just get steaks. I finally got some new shoes, probably long overdue since the other pair was about 3 years old. 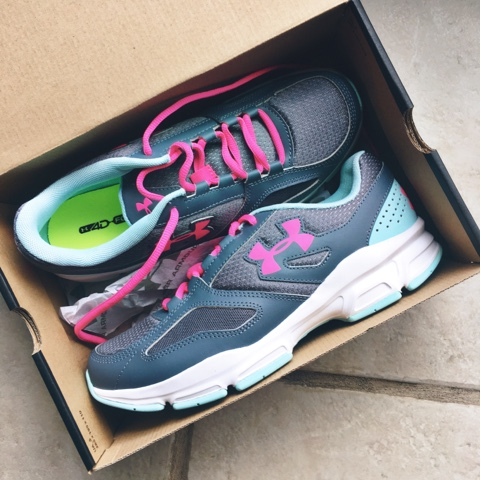 It's my first time with Under Armour and I have to say that so far they are pretty comfy. That's all folks, half because I've run out of things to say and half because I can hear that Harrison woke up. There aren't a lot of pins this week since most of them are Tone It Up recipes, but I still put a pretty good idea of what the meals are on the list. Sunday - So it's Mother's Day and I just remembered because a friend told me... Jeremy will likely grill steaks.